Place the milk beverage, chia seeds, 2 tablespoons of honey, 1½ tablespoons of lime juice and 1½ tablespoons of lime zest in a small bowl, and stir thoroughly to combine. Cover and chill in the refrigerator for 3 to 4 hours. Place the shredded coconut in a skillet over medium heat. Saute for 4 to 5 minutes, until golden brown but not burnt. Place in a container, cover and refrigerate until cool. To make the chia layer, stir ¼ cup of the CocoWhip into the chilled and jelled chia mixture. 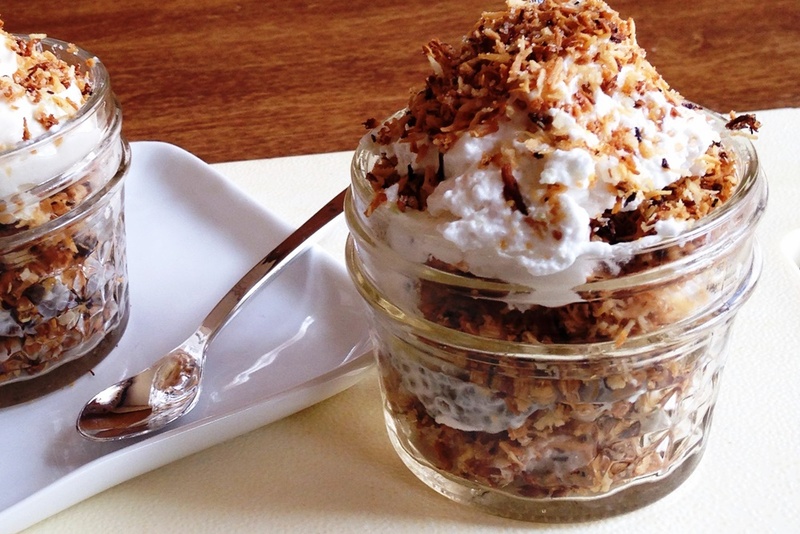 To make the coconut crunch layer, set aside ¼ cup of the toasted coconut for garnish. In a small bowl, stir the remaining toasted coconut with 2 tablespoons of honey and ½ cup of CocoWhip. To make the lime cream layer, stir the remaining 1¼ cups CocoWhip with the remaining 2 tablespoons of honey, 1½ tablespoons of lime juice and 1½ tablespoons of lime zest until well combined. To assemble, place 1½ tablespoons of coconut crunch mixture in each of four ½ cup dessert jars or dessert glasses. Top with all of the chia mixture, followed by ½ of the lime cream mixture, then the remaining coconut crunch mixture, and finally the rest of the lime cream mixture. Sprinkle each serving with the reserved toasted coconut. Enjoy immediately or cover and chill until ready to devour.